Thanksgiving is over, and now it’s back to reality for most of us. Starbucks better be ready today! I rarely share anything about my political views on social media, or in any setting outside of the confines of my personal circles for a number of reasons. One, being my job. I just can’t. I work in a position that somewhat reports to, connects with, and networks with elected officials. There will be no blue, red, green or whatever party colors displayed on any of my posts intentionally to support a political party. And, you will never get any rants about which side is better or about what crazy thing a politician said. However, I will comment on the fact that history was close to being made this past election. A huge glass ceiling was about to be broken, and I was feeling all kinds of blessed to potentially see a woman make history. Side note: I feel this way about any woman who has broken a glass ceiling in any area of professional success (Shirley Chisolm, Patricia Roberts Harris, Patricia Roberts Harris, Madeleine Albright, Maya Angelou, Misty Copeland, etc.). Now, one glass ceiling was broken this year for sure! Hilary Clinton is the first female presidential nominee for a major United States political party. However, I think there were a number of women along with their friends, daughters, sisters, and moms hoping for the big win on election night. Our daughter looking on as I completed my ballot. The actual ballot is not in the picture. I don’t want no problems behind this innocent picture. My husband and I took our daughter with us to vote, and in the back of my mind, I thought this is a moment I want to capture for her. I want her to look back and know that she was a part of this election, even though she was not the legal age to vote. I still feel this way, but my thoughts on why I felt this need so strongly are more clear post election hype. Raising a girl today is a little different.Women are less focused on sitting still, legs closed, and being pretty. We are more focused on empowerment, equality in the workplace, equality in education, more opportunities in education with programs for girls focused on STEM courses, equal pay, and so many other things that move toward a more empowered woman no matter what her path in life is. Then, we want our girls to hold to some moral standard on top of all this. Knowing this, I really wanted my daughter to have a win like this one to reflect on in her future. Today, it seems that no matter how much more empowered we become as women, men seem to still dominate. Even in areas where women are dominate, such as non-profits, men seem to hold more leadership positions. We can continue to empower our girls. However, the reality is that we only have a limited number of examples to show to our girls. I may be able to look up a Forbes list, but I doubt my daughter will know those names in our discussions later in life. Or, will she even be interested? And heck, will I even be an example to her or not? 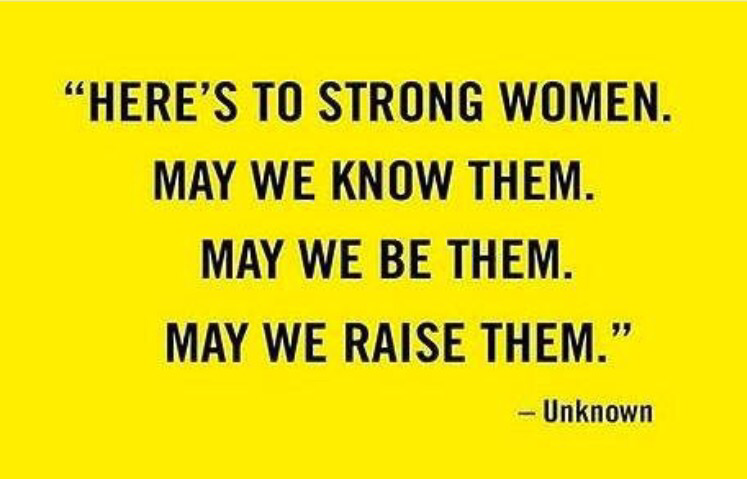 I believe that more glass ceilings will continue to break. But, will it be enough for the generation of women coming up today? Will it be enough to shatter the thought that you can not have a family and successful career – one has to suffer? Will it be enough to shatter the stereotype of what a true leader looks like? Will it simply be enough to encourage our daughters to lean in, be present at the table, speak up, and all those other actionable phrases we use to coach women today? I wanted a win for my daughter. Honestly, I really needed a win myself. Women are making big moves everyday, and we may or may not hear about them. I’m hoping we start hearing and seeing more of those wins for women today, and the women of tomorrow. So, here we are, back to reality before the Christmas holiday. There is still time to make some moves before the year ends! You may not be running for president, but at least be running for something that makes you a better woman/role model. You never know who’s watching you break your own personal ceiling.